A prototype version of Wii U was showcased at the E3 2011. The design of the console and controller were not definitive versions. The controller demonstrated features a touch screen over 6 inches wide and contains a built-in microphone, speakers, gyroscope, accelerometer, rumble and camera. Although it may look like a tablet, all processing is done on the console itself and the screen only supports single touch, not multitouch, going against a popular trend across the technology industry. Games that were confirmed are LEGO City Stories, a new Super Smash Bros. game, and a new Pikmin title. A list of third party titles was announced to be available at release, and were on show with video clips taken from PlayStation 3 and Xbox 360 versions. The Wii U is Nintendo's sixth home console and the first Nintendo console to produce 1080p high-definition graphics, and features a new controller with an embedded touchscreen. The controller allows a player to continue a gaming session by displaying the game even when the television is off. 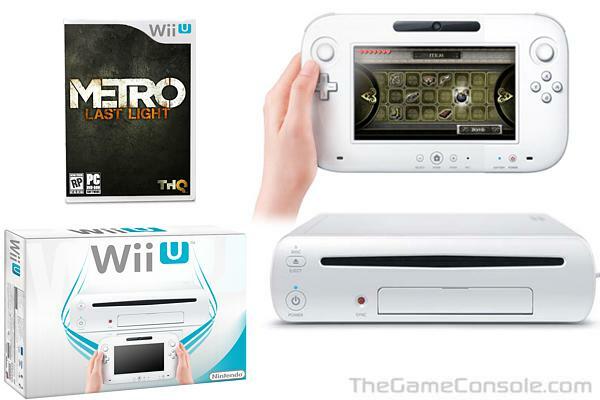 The system will be fully backwards compatible with Wii, and Wii U games can support compatibility with Wii peripherals, such as the Wii Remote, Wii MotionPlus, and Wii Balance Board. However, it will not be backward compatible with Nintendo GameCube media or peripherals.